Many people don’t realise the dramatic effect diet can have on your skin. While some foods will actively worsen your skin’s appearance, there are others that will protect it from sun damage, help increase collagen production, and reduce inflammation. Most of these good foods will also boost your body’s overall health. If you’re looking for a more youthful glow, we highly recommend making the most of Mother Nature by adding these valuable vitamins and nutrients to your diet. Oxidation within the body produces free radicals, which cause cell damage and attack proteins such as collagen; responsible for your skin’s plumpness and elasticity. Antioxidants are extremely helpful molecules because they can combat free radicals and prevent oxidative stress. Some antioxidants with anti-ageing capabilities include, Vitamins A, C, and E, glutathione, carotenoids, and polyphenols. It’s well-known for fighting the common cold, but vitamin C can do a whole lot more. It fights signs of ageing by helping your body build collagen, a protein which gives your skin its elasticity and prevents it from sagging. Lycopene is a carotenoid often found in red fruits and vegetables, which helps keep skin smooth by protecting it from sun damage. It is also known to improve the vascular system. Isoflavones are a type of polyphenol and help prevent the breakdown of collagen. They have also even been known to reverse sun damage. The EPA in Omega-3 helps preserve collagen, while both the EPA and DHA help to reduce inflammation. Healthy fats such as this one help the skin to stay hydrated. They also assist the body in the absorption of essential nutrients and vitamins. Protein is crucial for the construction of new tissue, including skin. When protein is consumed, the body breaks it down into amino acids, which also play a role in collagen production. Coenzyme Q10 functions like an antioxidant in the sense that its main role is fighting free radicals and preventing cell damage. 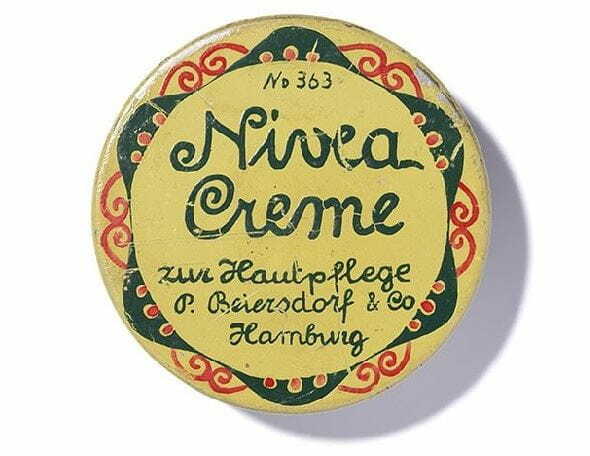 The human body can create Q10, but it is also found in certain foods, as well as an ingredient in some NIVEA anti-ageing face creams. Glutathione is an antioxidant, which prevents cell damage and fights free radicals. It also rids the body of toxins and helps metabolise iron. These friendly bacteria are famous for reducing inflammation and oxidative stress. Found in most fermented foods, probiotics are also great for the digestive system. These molecules play an important role in keeping the skin hydrated and giving it a youthful glow. Ceramides function by holding cells together and retaining water, which keeps skin moisturised from within. Zinc is important for the renewal and repair of skin. It is a crucial ingredient in cell production and can even be helpful for treating acne. Potassium regulates the transfer of nutrients to skin cells. It also plays a role in the hydration of skin, as it regulates water balance within the body. While diet is a great way to fight wrinkles and other signs of ageing, there is even more you can do outside of eating healthy foods. We recommend our NIVEA anti-ageing products for anyone looking to take their skin to the next level.